Beijing at night is a different world from the city in the daylight. Amidst the nightclubs’ dim kaleidoscopic lights and deafening electronic music, a collective hedonism pulsates, shaking off the oppression of the somehow frustrating reality. Beijing’s nightclubs are your best chance to see local electronic musicians and underground hip-hop artists, Beijing’s party animals, as well as the Fuerdai (kids who have rich parents). In the center of Beijing’s nightclub concentration, the Workers’ Stadium area, Club Mix is on the checklist of every club-goer in Beijing. The spacious venue has two floors for guests with different musical tastes. It sometimes invites indie musicians and rappers to perform – you can find the performance schedule on its website. This nightclub and bar owned by Chinese pop diva Na Ying is both for those who seek a thumping venue to dance away their tensions or a cozy rooftop bar to enjoy the nighttime view of the most dynamic area of Beijing. What’s more, V Plus Lounge has delicious bistro food – a role model for those nightclubs that attach little importance to anything except for drinks and music. If the nightclubs at Workers’ Stadium are for professionals to release the pressures of the day, then the nightclubs like Global at Wudaokou are the place where university party animals gather. And that’s why Global costs less, too. Though people usually go to its upper floor to party and dance, you may also choose to sip your wine in the private rooms on the lower floor. This club opened in a department store with a staggered schedule in relation to the rest of the shops, and thus being in it feels like there’s only you and other club-goers left in the world – an excellent reason for partying like it’s the end of the world. Modo boasts of a group of DJs from South Korea, and we all know how good Korean club music is. Don’t be tricked by its name – though having the name Latte, the venue is not at all a mild café, quite the contrary. 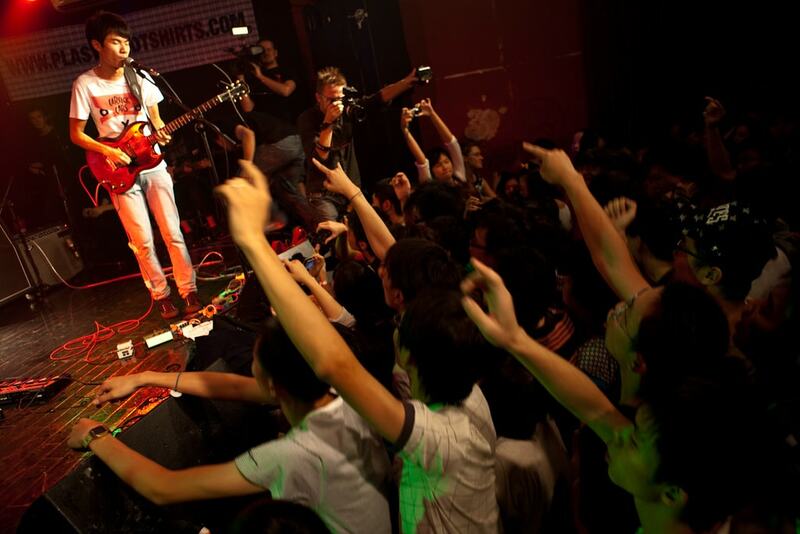 While it is one of the few ticket-free clubs in Beijing, it enjoys a popularity vividly described by a customer as “the club at midnight looks like a subway station during morning rush hour.” It is said that Latte’s performances are a bit cheesy, but it doesn’t stop the club from being one of the most popular clubs in town. Destination is an icon of Beijing’s nightclub culture, as it is one of the first and most famous gay bars in town. This is the place for the officially unrecognized LGBTQ group to meet up and celebrate their lifestyle, and sometimes it holds LGBTQ-related events, like a recent event cooperating with Bearology, a clothing brand targeted at Bears (gay men who are larger and hairier, with a masculine image). Named after a Chinese fable about an old man who is determined to remove two mountains in front of his house with shovels, live music spot Yugong Yishan was as if declaring its determination to carry forward indie music by providing a venue for the best known or unknown musicians from China and abroad to hold their gigs. It is no exaggeration to say Yugong Yishan is a harbor for Beijing’s music youth.